Welcome to Basecamp Explorer, and to your travels and experiences with us. 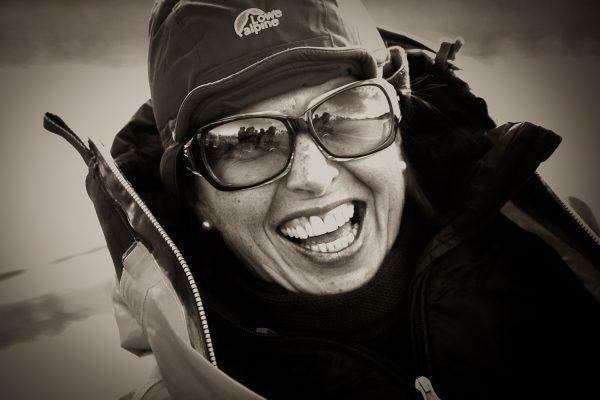 I have lived in Longyearbyen for several years, and have the daily responsibility for Basecamp Explorer Spitsbergen. Now I visit often. It touches me every time. A week at Svalbard is an experience that lasts a long time. Take February, for example. Towards the 14th you can see the sun playing just below the horizon. Several weeks of endless blue hours and Northern Lights are upon us at Svalbard. In late February, we get the sun through to Isfjord Radio at Cape Linné. It is pure magic after the polar night. The traces of such a week up there, no matter when, is always deep. It is the same after a week on the savannah in Masai Mara, Kenya: 12 hours day, 12 hours night. Flick, on! Flick, off! I forget the great problems and become captivated by the timeless, by the great people. At both places we work in line with nature and the local culture. There are similarities and differences, lions in one place and polar bears at the other, if you will. In all, Basecamp owns eight hotels, lodges and camps, and we collaborate with two more hotels. Overall, we are 150 enthusiastic and committed people on a full or part-time basis. What is important to me and all my fellow Basecampers is that we are constantly striving to make you feel comfortable and get the very best experiences at Svalbard or in the Masai Mara. You shall experience places that do something with you, as it does to me. Everything should be genuine, in line with nature and the local culture; you should stay well and eat well. It goes without saying that with us there is no mass tourism. We shall give you something different. In Basecamp Explorer, we are a family of Global Citizens and we would love to bring you along. Our mission, besides sharing this, is that we will make a difference and something positive for the places where we are. The money we make will be plowed back into new projects or to make the environment better equipped for the future. So simple and so difficult. The best sign of Basecamp’s success is when our guests return. Welcome, and welcome back!